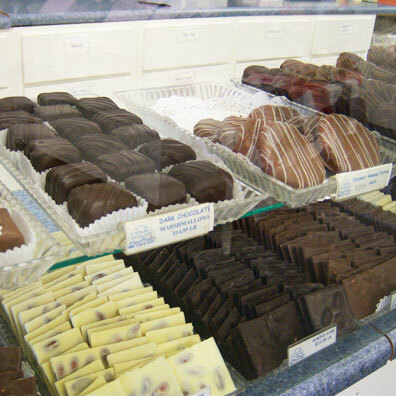 Welcome to the home of Vermont's most mouthwatering chocolates, fudge, truffles and buttercrunch made fresh in our candy kitchen. The Village Peddler and Chocolatorium are located at 261 Old Mill Road in East Arlington, VT. Once an old wagon shed, our historic building in East Arlington now houses an array of Vermont specialty foods such as maple syrup and maple candy; cheddar cheese and crackers; homemade preserves and jelly; honey; and sugar free candy. 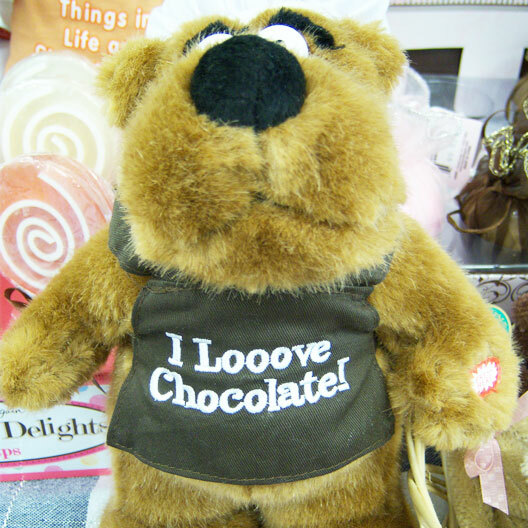 We invite you to visit us and discover Cocoa, the world's largest chocolate teddy bear, along with a large selection of cuddly teddy bears, collectible artist bears, pottery and country gifts, bath and body lotions, and taste tempting gift baskets. 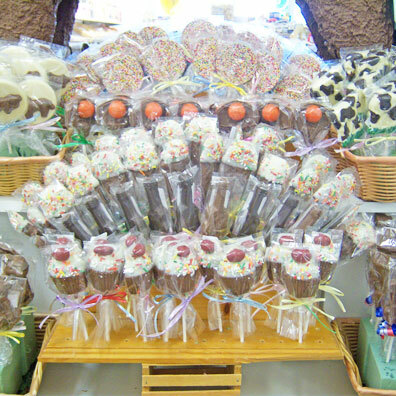 Also visit our Chocolatorium and explore the world of chocolate. 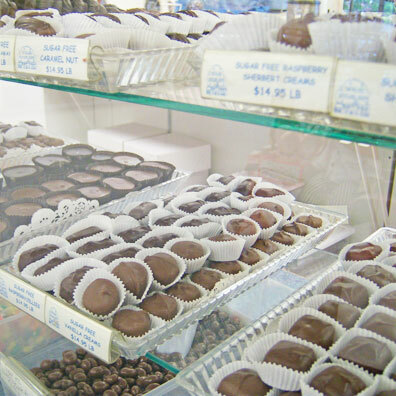 Here you will learn about where chocolate comes from and how it is made. Join us for regularly scheduled tastings and demonstrations. 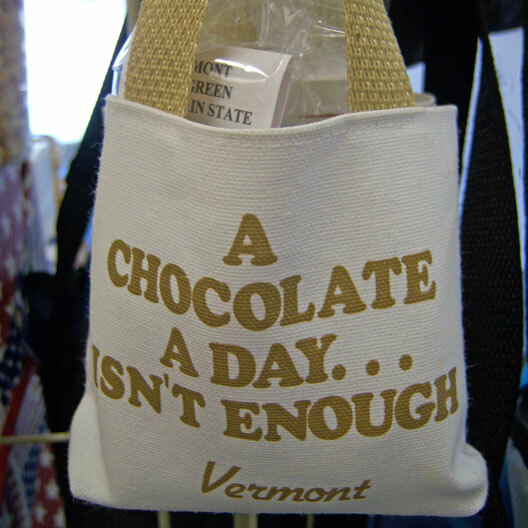 We also invite you to visit our other store, The Village Chocolate Shoppe, located at 471 Main Street in Bennington VT. 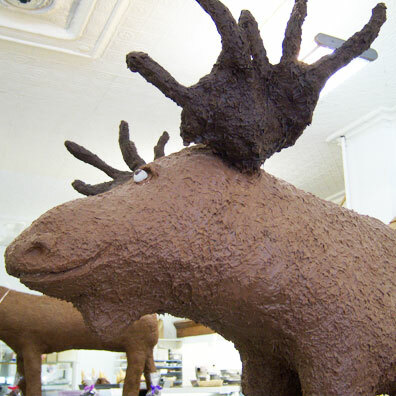 While there, you can meet Benny, the chocolate Moose. Benny was made in honor of Moosefest 2005. 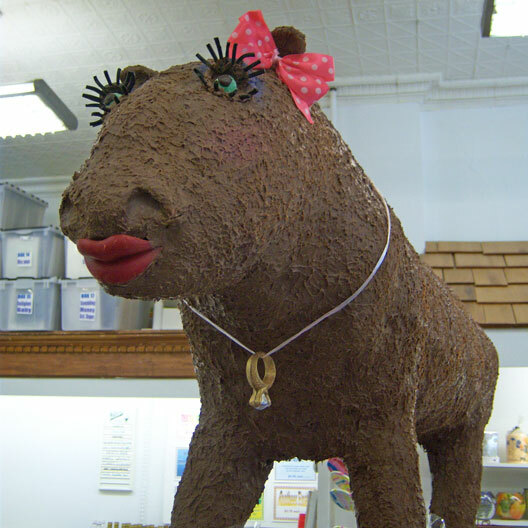 Also you can meet his wife Molly who was made in honor of Moosefest 2009. 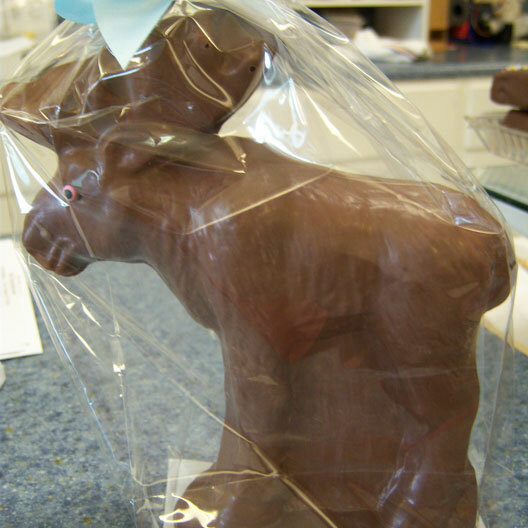 Benny and Molly are each 100 pounds of chocolate. Don't forget to join us for our many special events throughout the year at both stores. 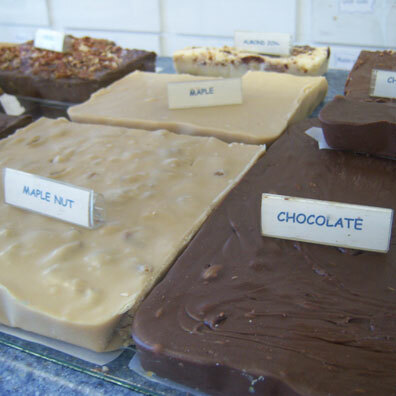 This summer's Funtastic Fridays begin at The Village Chocolate Shoppe in July. The village of East Arlington, chartered in 1761, is one of Vermont's most picturesque villages. Established by hardworking farmers and rugged entrepreneurs, many of the early settlers aided the Revolutionary War as members of the Green Mountain Boys. Arlington served as the first capital of Vermont. Today the historic village architecture and covered bridge reminds visitors of the early settlers and their innovations in harnessing the waterpower of Peter's Brook. Well-known orator and U.S. Senator Daniel Webster held forth in support of Presidential Candidate William Henry Harrison in 1840 at a spot known as Kelley Stand, a heavily wooded area at the base of the Green Mountains. More than 15,000 people traveled in wagons and on foot to hear the famous orator of the day. Travel more than 150 years ago in the wilderness of Vermont was a difficult and tiresome affair consuming many days to traverse even a short distance. In 1909, James P. Taylor proclaimed his "footpath in the wilderness", establishing the Long Trail, the nation's first long distance hiking trail. In southern Vermont, the Long Trail and the Appalachian Trail (from Georgia to Maine) converge and hikers often leave the trail to wander our village streets. Our shop, a restored 150 year old barn, was once a buggy shed, barn, and home to the village smithy. In later years it also served as a model T repair shop and a tavern/bar. Nearby there was a woolen textile mill, a shoe peg mill and a pump and washboard factory that relied on Peter's Brook for its water and power from the early 1800's to the 1920's. 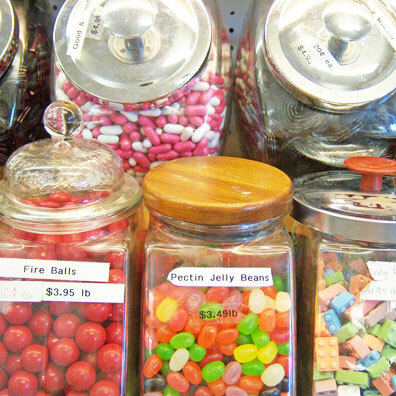 The Moose Hollow General Store, across the street from the Village Peddler, was once the village schoolhouse. Originally located on The Lane, south of its present location, horses and oxen were used to pull it to its current location in the center of the village. 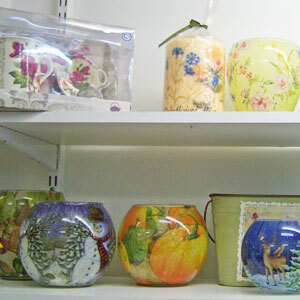 By the 1920's, it had been converted from the schoolhouse to a grocery store. Perhaps the oldest, remaining house in the village is the Abel Aylesworth house (next door to The Village Peddler) originally built as a tavern in the 1780's. It was later known as Warner and Dustin's General Store, then Judson and Demings and finally by 1900 as the Orland Adams Green Mountain Cash Store. By 1920, Montgomery's Pharmacy had opened in the building. 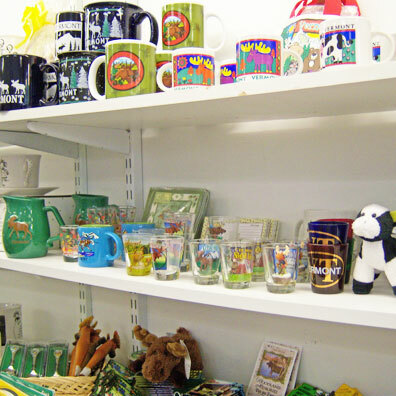 Today, it serves as the village post office and home to the East Arlington Café and East Arlington Antique Center. 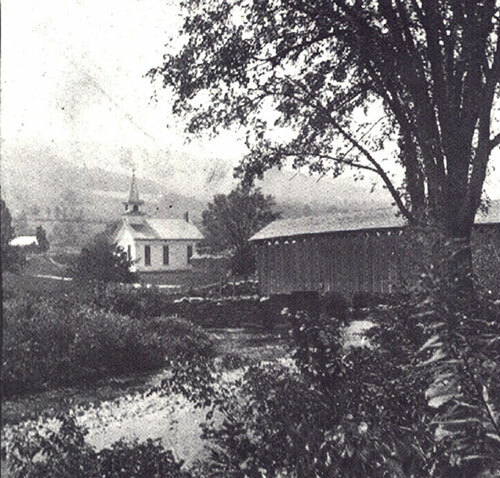 With abundant waterpower, nearby forests for lumber and a centrally located position on the north/south route through Vermont, East Arlington was a perfect location for manufacturing. Early records report the 1764 proposal by town fathers to offer 50 acres of land to the first man to establish a gristmill in the village. Their purpose in such an attractive offer was to guarantee flour for the kitchens and feed for the livestock-successful ingredients needed for the strong settlement of any town. Remember Baker, an early settler and captain in Ethan Allen's Green Mountain Boys, accepted the challenge. The first gristmill in all of Vermont was built right here in East Arlington. The original mill burned and was later replaced by the existing mill that has been on the site since the 18th century. Grain was ground in this mill until the 1920's. Arlington and East Arlington capture a place in the Vermont history books as the site of many firsts in the Green Mountain State: fulling mill, furnace and foundry, rope factory, chair factory and marble quarry. Later developments saw the addition of a chisel factory and railway car wheel factory. The latter became a refrigerator factory in 1860. Since 1939 it has housed Mack Molding Company. Arlington was home to well-known artist and authors including Norman Rockwell, Rockwell Kent, Dorothy Canfield Fisher and Carl Ruggles. Shown is the Chiselville Bridge, located on East Arlington Road. 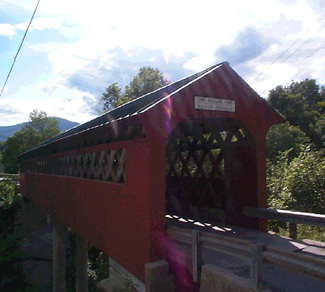 Named for a former chisel factory nearby, the Bridge spans the Roaring Branch Brook. It was built in 1870 and survived the flood of 1927.